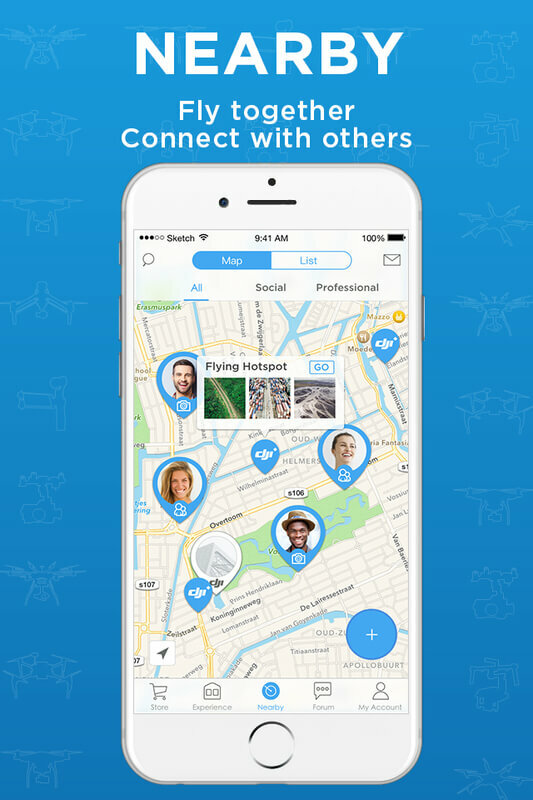 The ‘DJI+ Discover’ app helps people find and connect with like-minded drone enthusiasts and professional aerial service providers nearby. 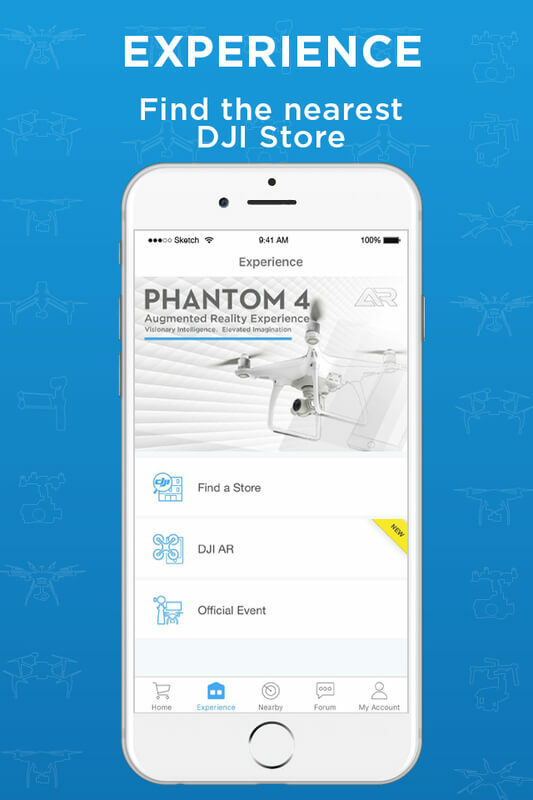 Users can access DJI+ Discover via an iOS or Android app. The mobile app connects people socially and professionally by enabling drone-pilots and drone enthusiasts to start conversations and meet up while also functioning as a professional marketplace for aerial service providers and potential clients. Further, the app is a gateway to the broader DJI community, including an integrated version of the DJI Forum, the DJI online store, SkyPixel, upcoming DJI events and more. The app is easy to use and divided into four sections: Nearby Search, Experience, Store and Forum. Users sign up by registering an email address. Their profile can be linked to an existing DJI account. The app is open to anyone – from those curious about the technology without any previous experience to professional service providers. Nearby Search shows social and professional users nearby, as well as flying hotspots and geo-tagged photos from SkyPixel. The Experience section guides users to nearby stores, and official DJI events. Other interactive features will be posted in this section. 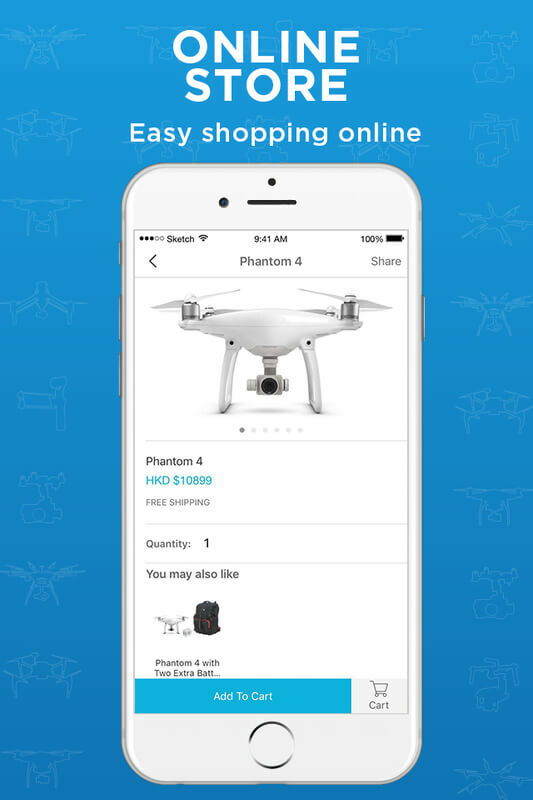 The Store section takes users directly to DJI’s online store. 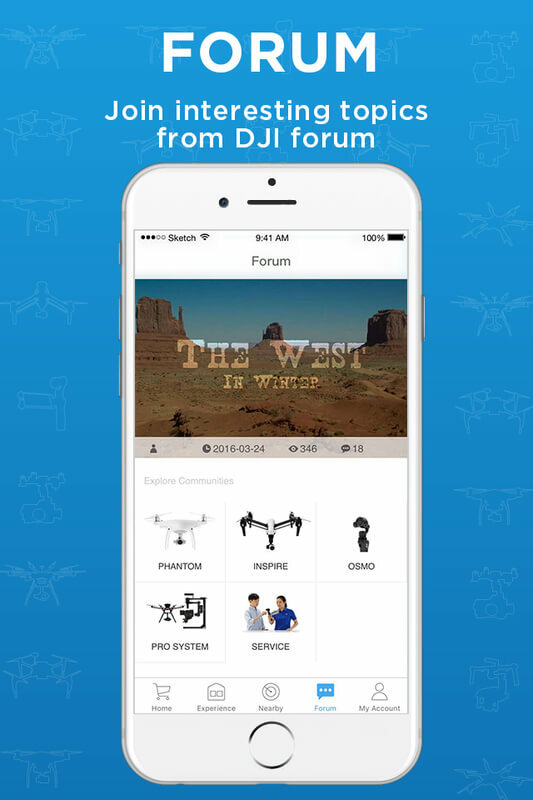 DJI’s official Forum is directly integrated in the DJI+ Discover app, making it easier for people to discuss, share best practices and get tips directly through their mobile phone. The app can be downloaded for free on this link. The app is currently available in the U.S., the UK, Germany, Spain and Australia. A short introduction video can be found here. High resolution photos can be downloaded here.